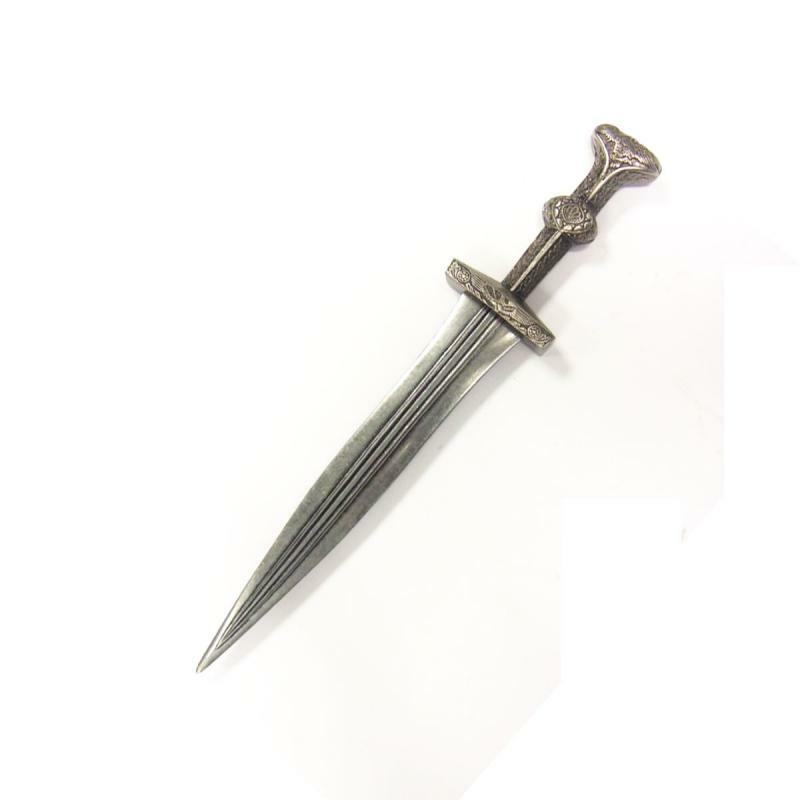 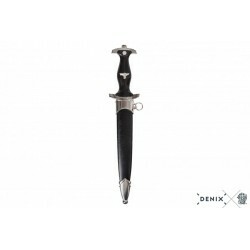 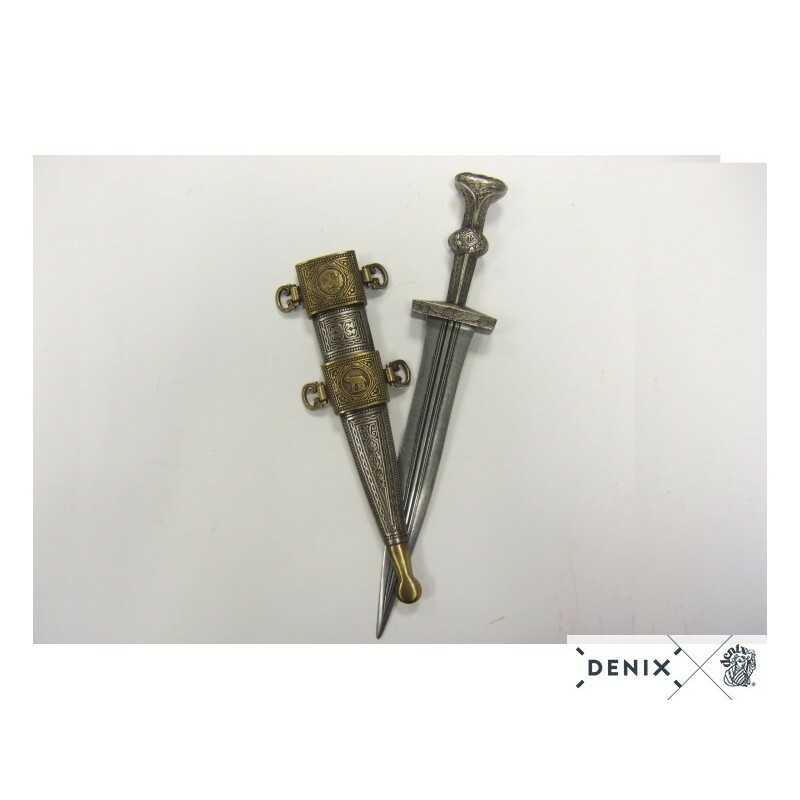 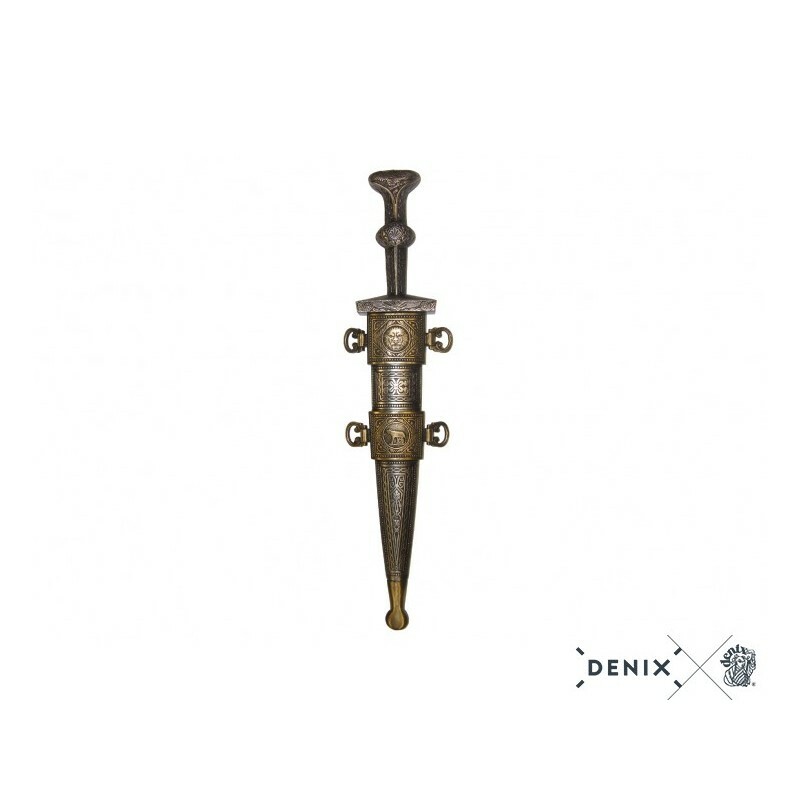 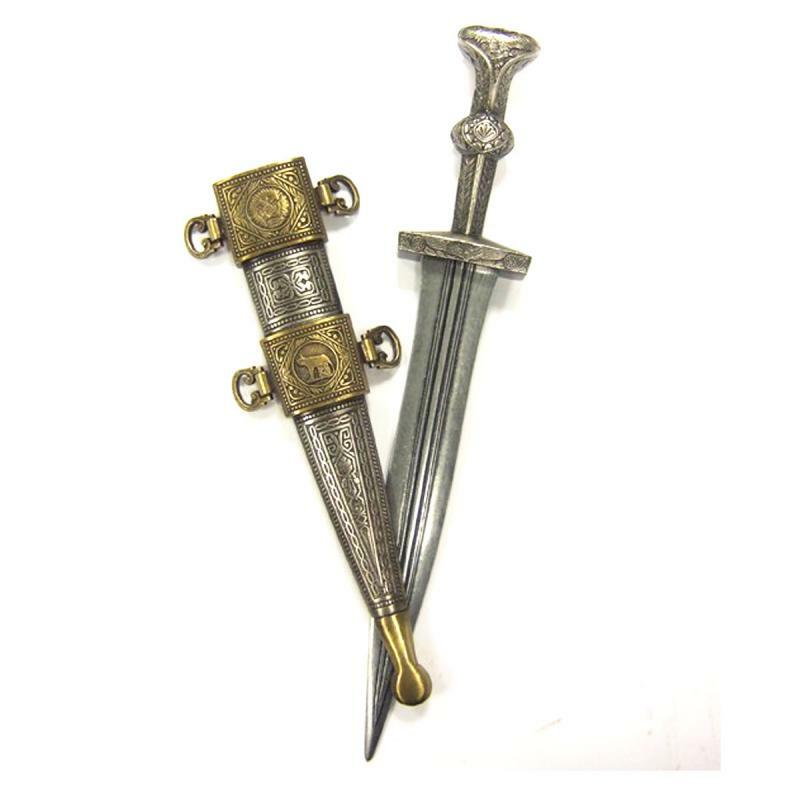 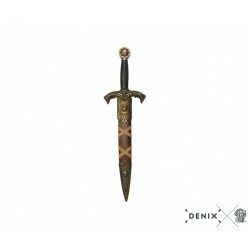 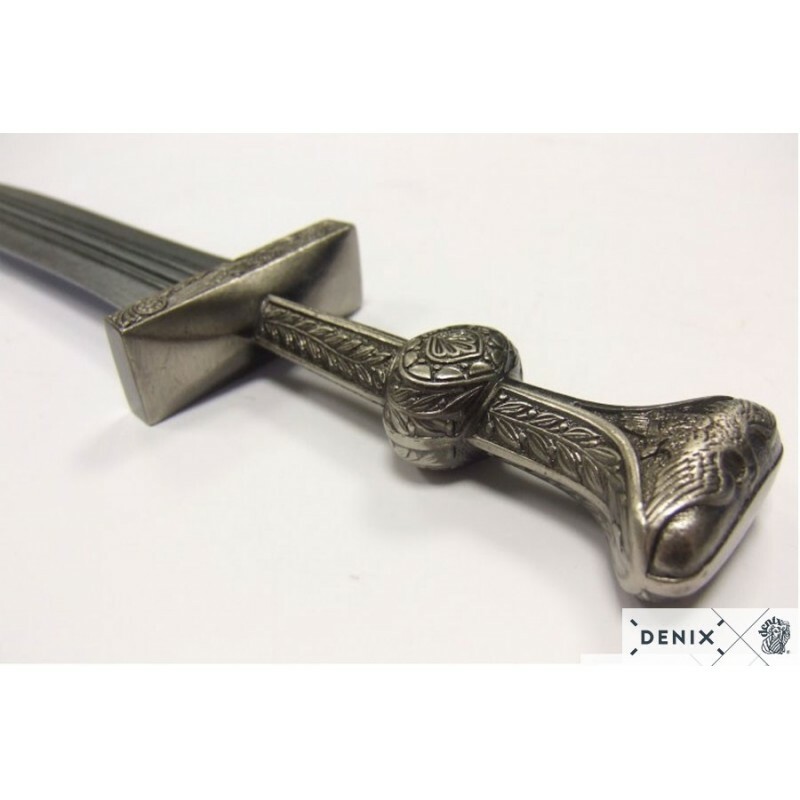 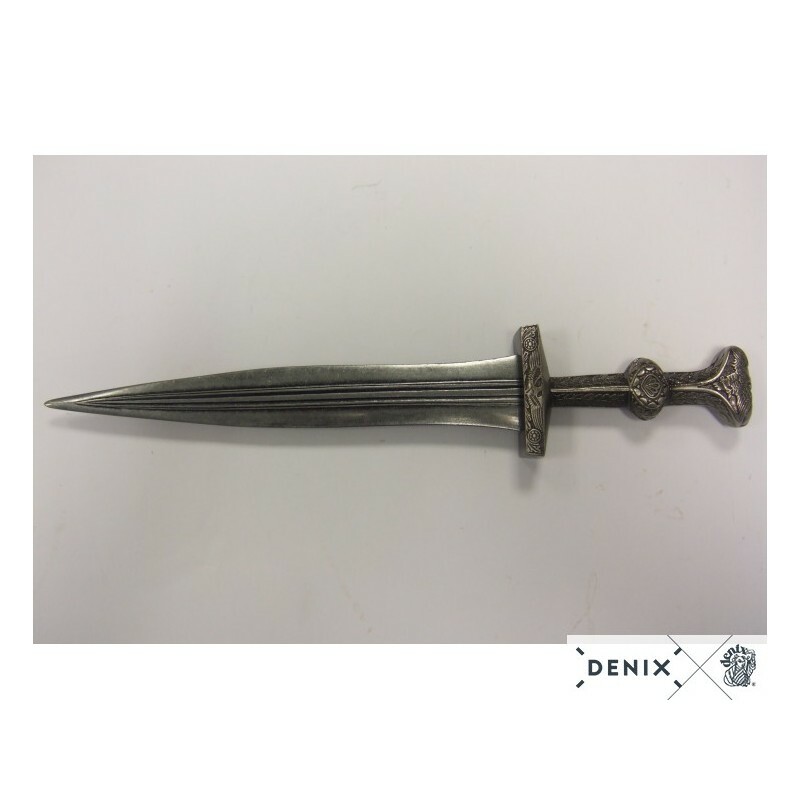 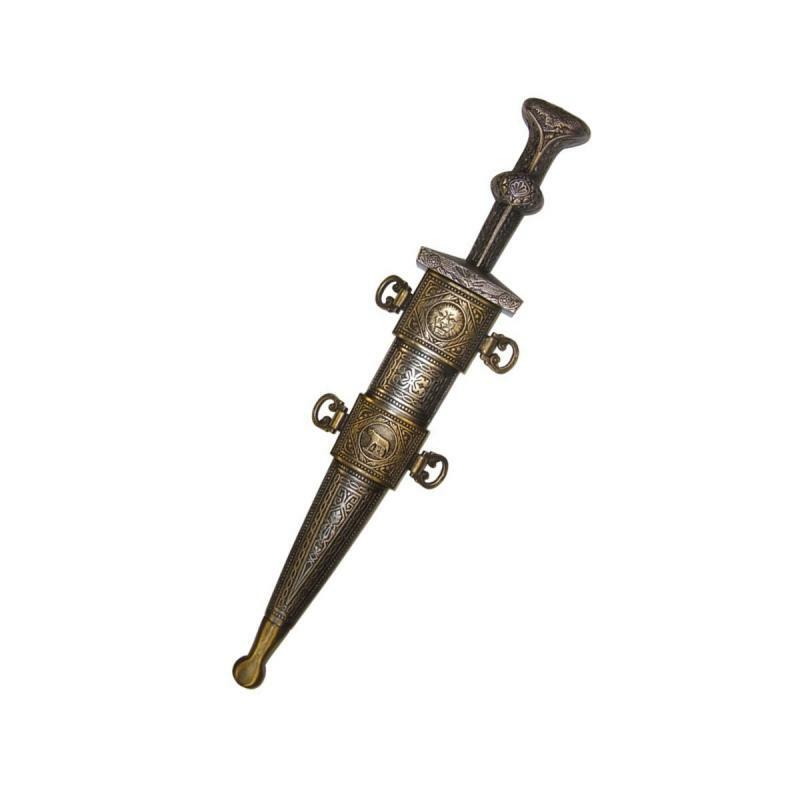 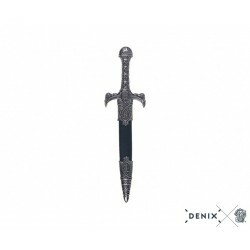 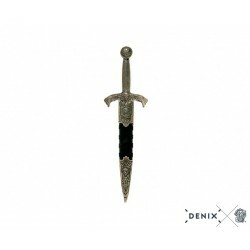 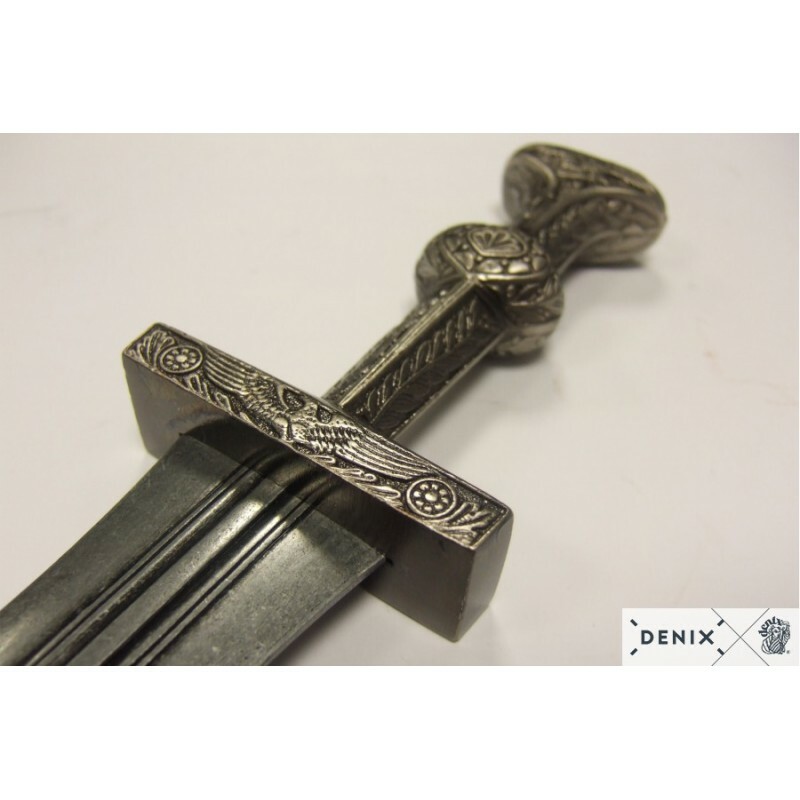 The Roman dagger, or Pugio, was a standard weapon carried by the Roman Legions. 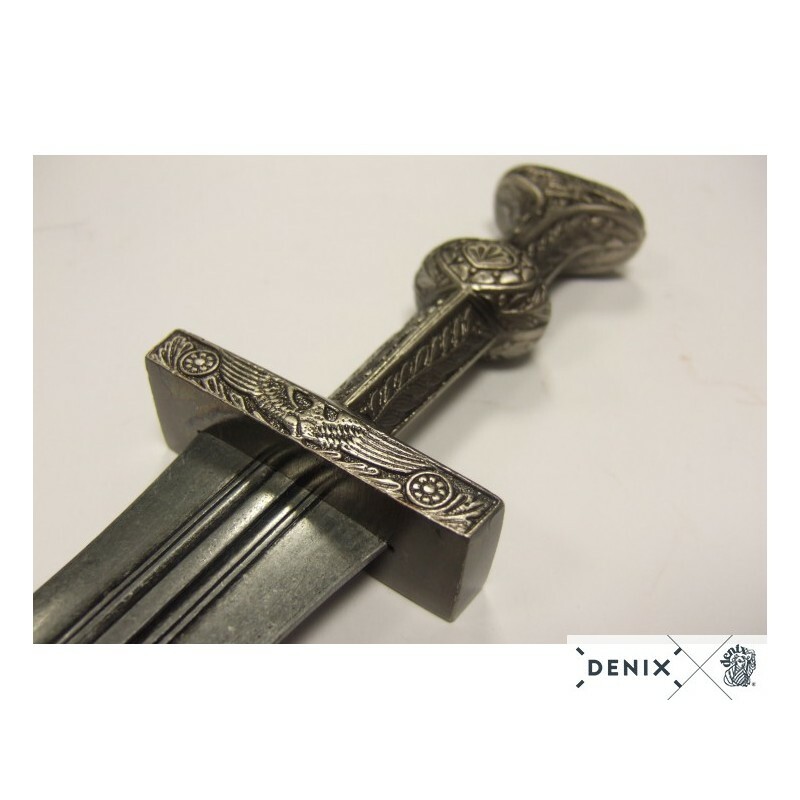 Most were fairly plain but some examples remain that show great artistry in their decoration. 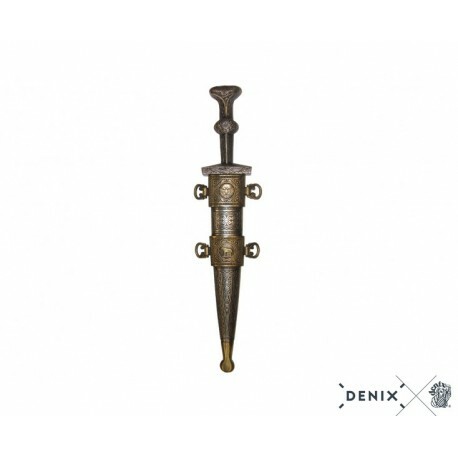 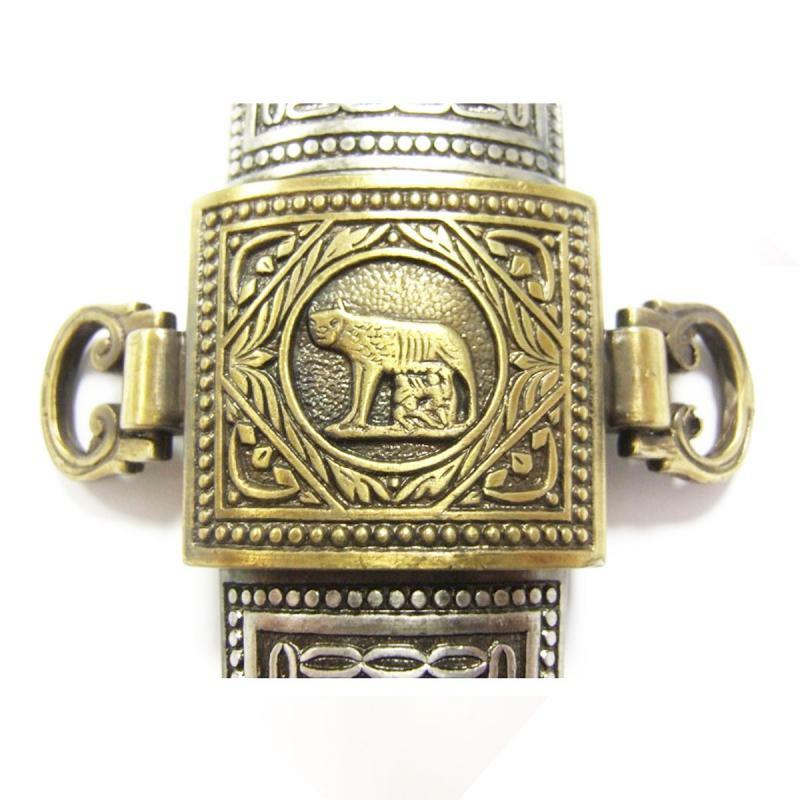 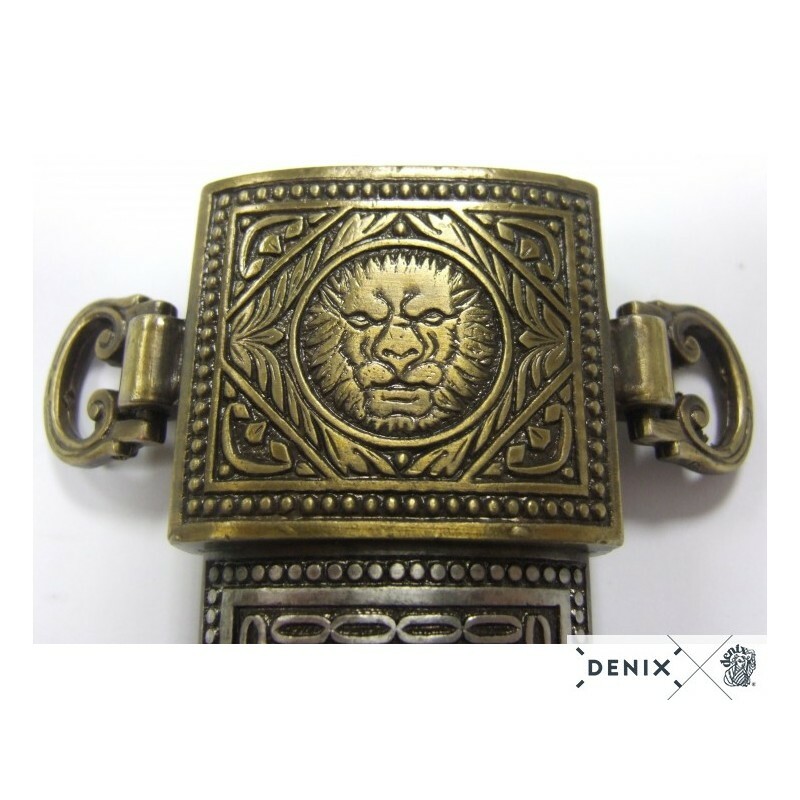 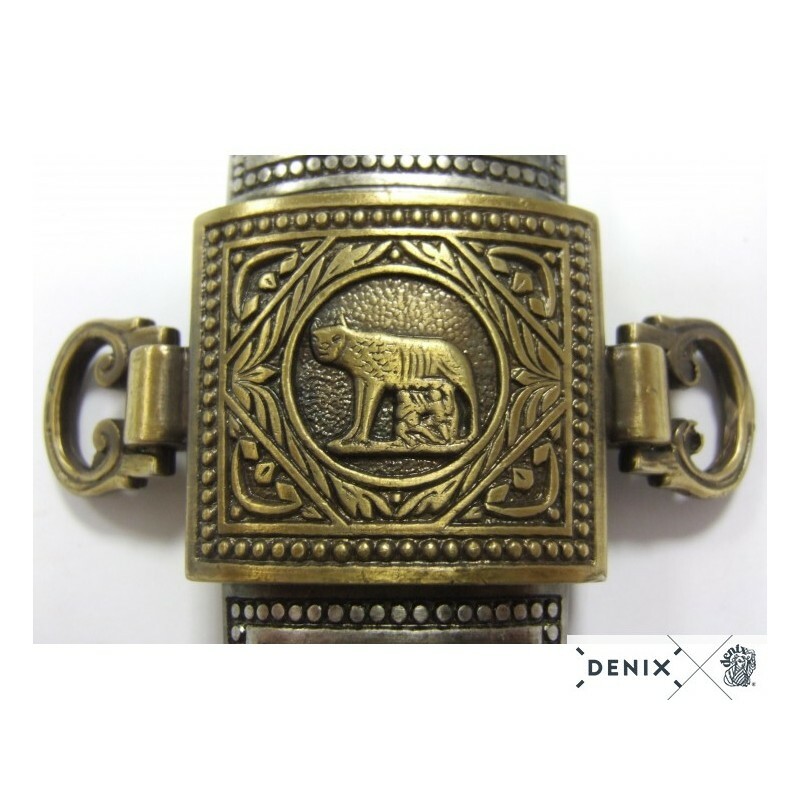 This replica of a museum piece illustrates the skill of the artisan and the taste of the Roman officer who wore the original. 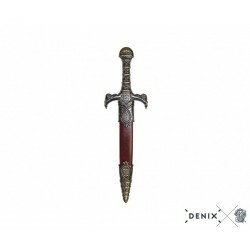 Dimensions: 40 cm / 16"